Just bought a P20 Pro last week and it's great. I wondered about WiFi calling using O2 as I live in a slight dip with the signal occasionally dropping. 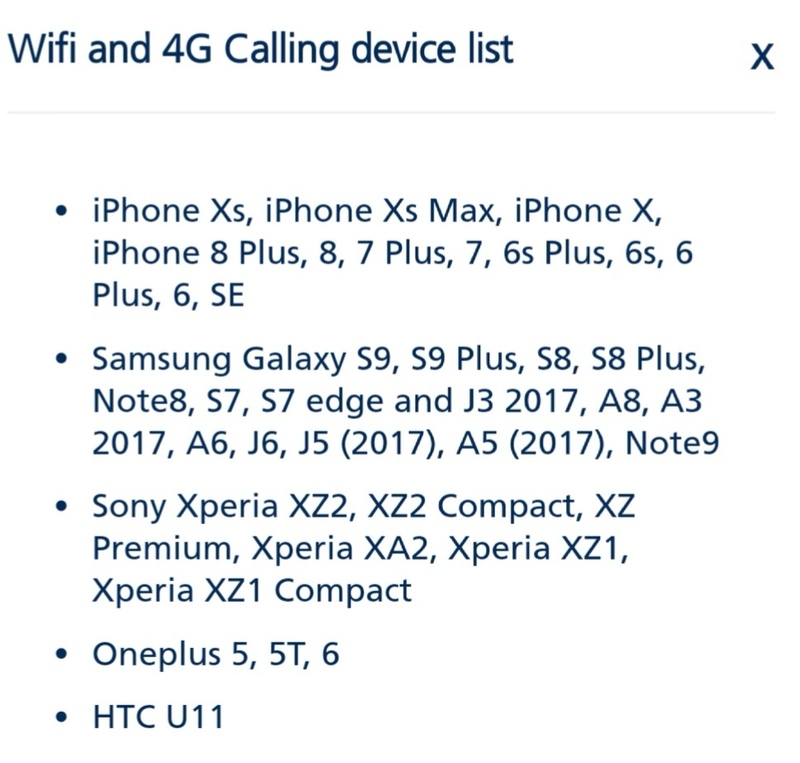 I looked on O2's website and none of Huawei's phones are listed as being on O2's list of phones with WiFi calling. I knew that although network dependant, the P20 Pro has the ability for WiFi calling so I Googled for more info and it strangely provided a link to O2's own pages on how to turn it on though the options on the final screenshots in their instructions don't appear on my phone. O2 weren't much help but does anyone know if this will happen soon. I'd have thought that if O2 themselves have model-specific instructions on their website that it means it's on its way. Help! O2 does not supoort any huawei device. Thanks @chillphone. That's what I'd seen on O2 website but for some reason they have the instructions on their website to turn it on for the P20 https://www.o2.co.uk/help/phones-sim-and-devices which is bizarre as there's no mention of the fact that it's not something that will work with phone on their network. Slightly confusing. A bit late to the party, but I want to mention this. I can confirm that the P20 Pro supports Wi-Fi calling. However, its actual availability and functionality depends on the actual network provider. So, in this case, O2 will be able to offer you more information. Thanks Max. I thought the same but am still confused with O2 not listing any Huawei phones under their WiFi calling list yet still provide detailed instructions with photos showing how to turn the function on. Total newbie on the forum here, but I'm in a similar situation: P2O Pro handset on O2 and no WIFI calling option in the call settings. I've contacted O2 who say WIFI calling is enabled on my account but the handset doesn't support it, so I came on here to read that it does, which leaves me a little confused and going back and forth between the handset and network providers! Surely the system menu would still list the option, it would simply be disabled? I'm not completely worthless; I can be used as a bad example. God knows! No Huawei models are in the list of models supporting wifi calling on O2 yet the instructions on how to turn it on remains which is strange. It needs the 02 firmware added to the phone for it to work. O2 will only provide this is you bought the phone from them. The phone was bought direct from O2 so I'm assuming the firmware you mention is already on the phone. As mentioned in previous comments above, O2 say this phone is not currently one of the models that can be used for WiFi calling in the UK. That's why I thought it strange that the instructions on how to set it up for the P20 were on their website yet you can't use it on that either. O2 do not support WiFi calling on this device. Maybe Skype to call phones and Whatsapp or Facebook for wifi to wifi calling? Prior to that it worked all the time. Just to confirm, we can guarantee 100% that the P20 Pro device has been manufactured with an in built WiFi calling and VoLTE. Thea feature exists on our P20 Pro devices, but it is up to the network provider to enable this through a custom firmware. Also, the device has to be branded in the specific network for WiFi and VoLTE to be enabled. Therefore, if your device is using an O2 network SIM card, it will have to be purchased and branded directly by O2. Note: The availability of this function depends on the network operators in different countries or regions. Contact your network operator for details.